How do I Learn to Play Popular Songs on the Piano? Do you want to learn how to play popular songs on your piano? Not everyone that wants to learn how to play the piano wants to learn only classical music. When I was studying how to play the piano, I remember telling my teacher right of the bat that I wanted to learn how to play my favorite songs on the radio. That’s what most of us want to learn on the piano. We want to be able to entertain our family and friends by playing popular songs that everybody knows, can sing along and have fun! 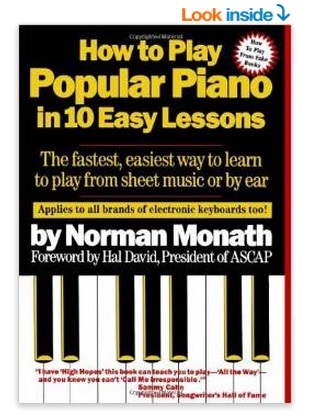 *As the title says, this is a great and easy piano book to follow! I am a piano teacher and most of my adult students want to play popular songs on piano. Of course I teach the kids classical because they might want to go to music school later in life, but I always leave the last 15 minutes of the class to teach them their favorite popular songs too! Ok, but the big question still remains…. How do I learn popular songs on piano? What is the best way to learn popular songs on piano? How do I Learn Popular Songs on Piano? 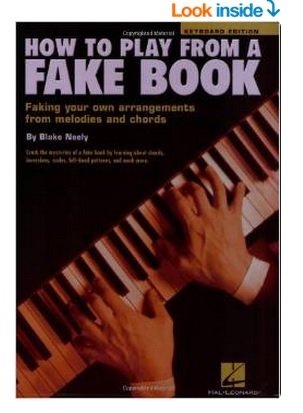 How to Play from a Fake Book: Learn Piano Chords! The first step to learn popular songs on piano is to learn your piano chords! What I like to do with my students, so I don’t overwhelm them with too much information, is to teach only the chords for the specific song they want to learn. For example, if a popular song has 5 chords, we will only be practicing those 5 chords until he is really good in playing them with both hands and switching fast from one chord to the next. If you are trying this without a teacher, you will need lots of patience and good piano books! 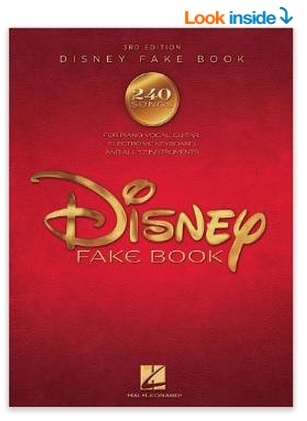 In order for you to learn how to play your favorite popular songs on piano, you are going to need a couple of piano fake books. 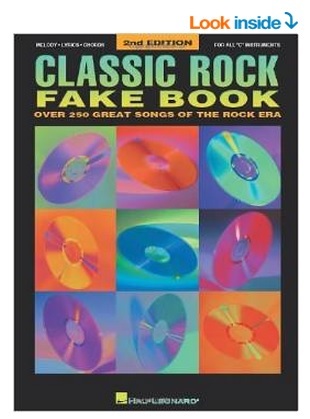 Piano fake books are filled with hundreds of popular songs from the 50s, 60s, 70s, 80s and 90s in all styles. 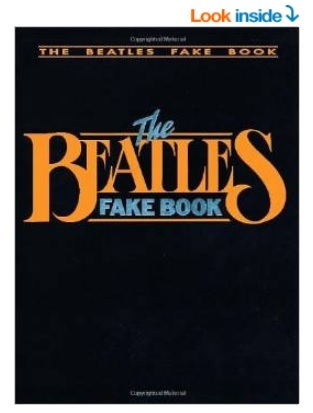 They are called “fake books” because they only give you the melody line and the chords. The rest is up to you! It sounds more difficult than it really is. The secret is to really learn your piano chords well! Once you know the piano chords for a specific song, you can try and add the melody and then put them together. Some people prefer learning the melody first, but I always start with the chords. They are the foundation or “skeleton” of a song. Practicing your First Popular Song on Piano! Remember, the first thing you do is to learn all your chords for that specific song! It is also a very good idea to learn how to play those chords not only in their root position, but also first and second inversions. After you are pretty decent with your chords and all their inversions for the song you are trying to learn, (do this with both hands!) then you will be ready to learn your melody. Chances are you already know your melody if it is a song you really love…. Once you learn your melody pretty well, the final step is to add melody and chords, in a perfect marriage! Playing your Favorite Popular Songs on Piano! When you try adding the chords to the melody of a popular song on piano for the first time, make sure you play just the basic root chord first, together with the note of the melody. 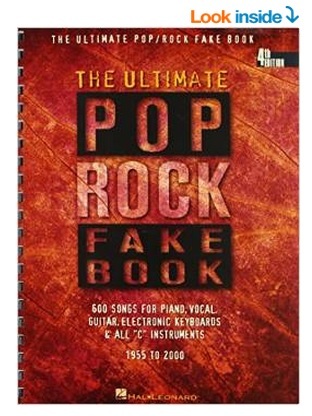 On your fake book, the chord you have to play for that specific note will be right above the note. It is not difficult to figure it out. Do not try to do the whole song the first time, otherwise you will get frustrated. Try only the first two or three measures of the song and see how it is going. Every day you try one or two new measures until you have gone through the whole song. Playing your Favorite Songs on Piano: Final Step! The final step in playing your favorite popular song on the piano is to “make it pretty” or spice it up! When you are confident in playing the chords and melody line together, then you can add the chord inversions in a way that it makes it easier for you to switch between your chords without having to go all over the keyboard. Find which chord inversion goes better for each passage. You can also try playing chords with your right hand and just the octaves or bass lines with your left hand. You can also play the melody with your right hand and arpeggios with your left if it’s a ballad for example. If it is rock you can keep pressing the chords with your left hand several times in a “rocky” beat. The point is to have fun in the process and don’t be afraid to try new things! More Helpful Piano Books for You! I hope you have a lot of fun learning how to play the piano! If you get frustrated take a break! Never try to practice while feeling frustrated. You have to feel good first! 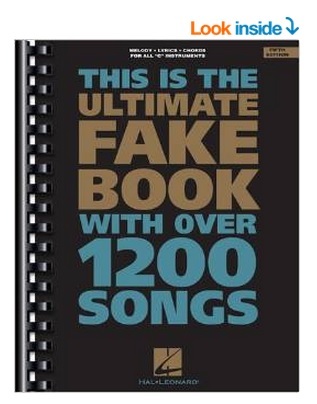 *This is a great video on how to play piano from a fake book! This guy offers awesome tips!